Help! I can't log into my SellerZen account even though I was able to log in before! 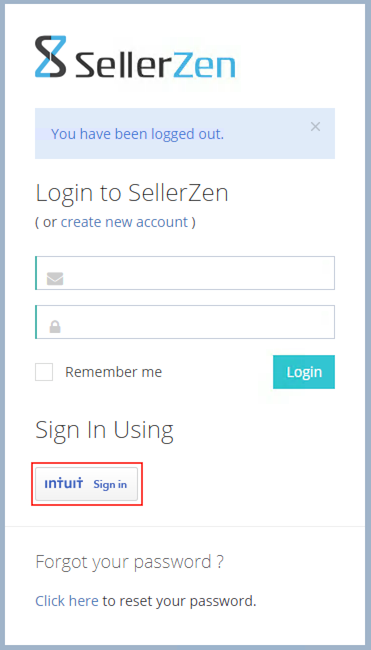 If you log into SellerZen using your Intuit sign in, then you'll get an error when attempting to sign in by typing your email address and password into our login form. This is because we don't store your Intuit password on our website. To log in using your own credentials instead of your Intuit credentials, you'll have to change your password once you access your account using the "Intuit sign in". Go to your account settings by clicking on your name on the top right corner of the website, then go to "My Account." Click on "Change my password" to enter your password. Once you've changed your password, you can log into your SellerZen account using your email and password that you've set instead of the "Intuit sign in" button.